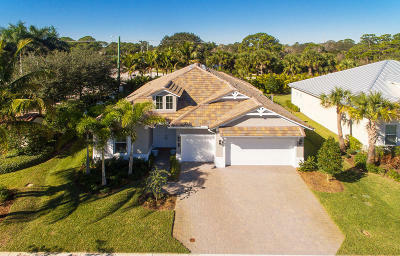 Coastal elegance abounds in this 2018 built luxuriously appointed one story open floor plan home in the charming neighborhood of Shores Pointe nestled in an extremely convenient location in Jupiter. This 3BR/3BA + den & 3 car garage boasts CBS construction with impact glass throughout. Contemporary & high-end finishes include 9 x 40 porcelain tile flooring, hardwood flooring, quartz countertops, tray + coffered ceilings & motorized privacy shades. The large gourmet kitchen features a natural gas cooktop, spacious premium cabinetry, SS appliances and custom backsplash tiling including the island kick wall. Custom vanity in master bath, a magnificent wall unit & additional cabinetry in laundry room add finished design appeal & storage. Immaculate!